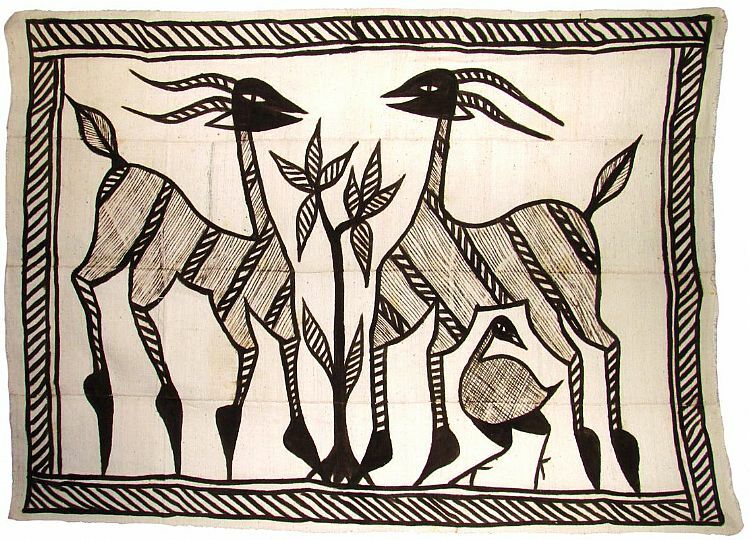 Have you noticed mud cloth (translated from the native Bògòlanfini or Bogolan) popping up everywhere lately? I have, and I loooove it! I did a bit of research into it when I was looking at fabric to cover the desk chair for my studio, but in the end I did a mud cloth inspired DIY, as I didn't want to buy a big piece only to cut it up - it seemed such a waste when it was only for one chair. That, and I found some tutorials that intrigued me to give it a go, especially as I had nearly everything I needed already. My DIY mud cloth inspired version! But I do love the real thing, and I think a large piece would make a gorgeous wall-hanging. I came across some fab cushions along the way too, so I thought I'd share those resources here today, incase you're thinking of adding a touch of tribal chic to your home. The neutral prints are really easy to incorporate into an existing scheme. 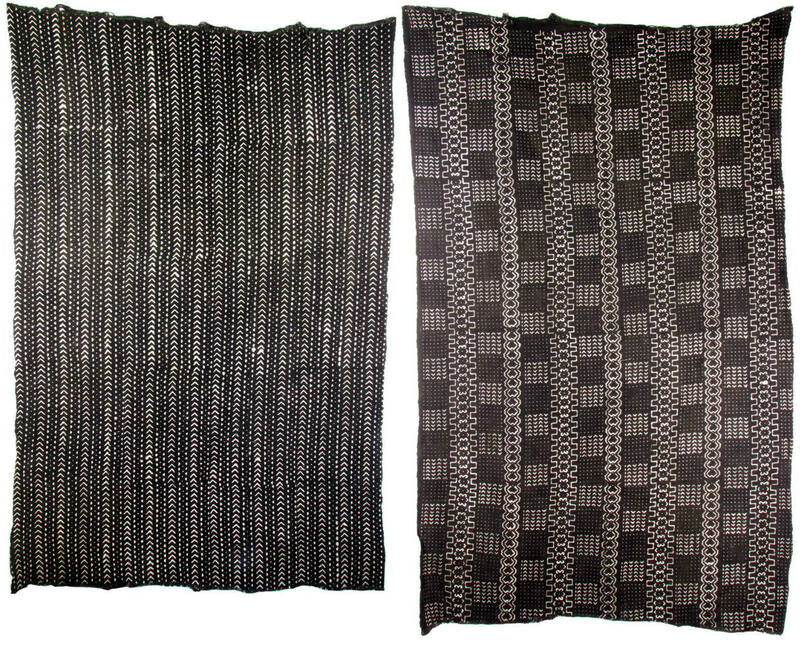 The African Fabric Shop have an ever-changing selection of mud cloth (the pieces tend to be around 1m x 1.6m) for £59. Really not a bad price at all considering the work that goes into making this beautiful fabric. 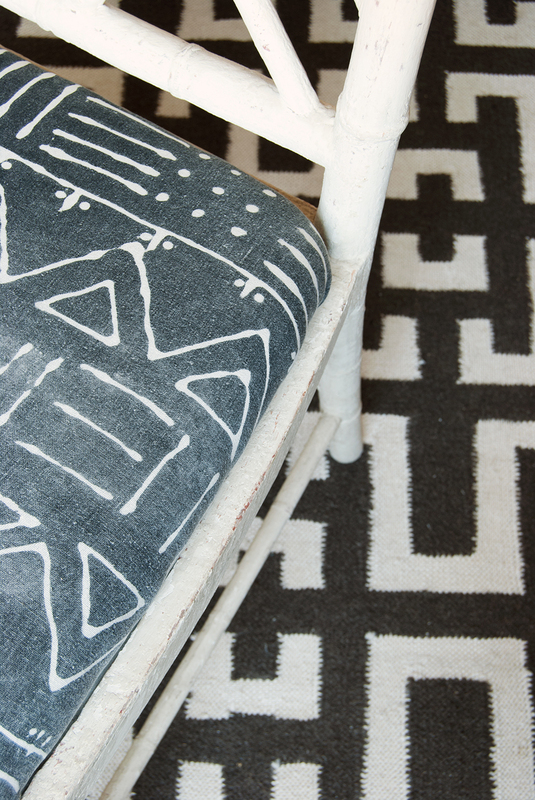 Mud cloth originates from Mali where it is exported all around the world for clothing and interiors. The finished pieces are made up of smaller thin strips of handwoven cotton that are stitched together before having the design hand painted on using natural dyes and mud that's been fermented for up to a year, before being dried in the sun and rinsed away. The process is painstakingly repeated to achieve the deep dark browns and blacks. 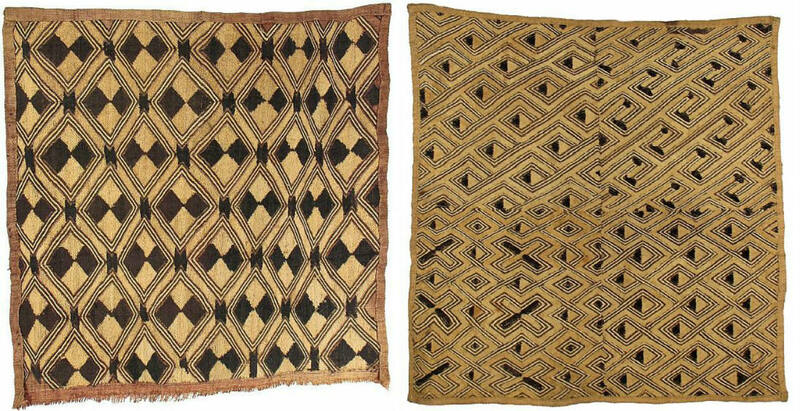 Make sure you also check out the equally beautiful Kuba cloth from The Congo, which is a combination of embroidery and flat weave raffia. They have pieces that are the perfect size to make into cushions for around £50.00. Aren't they beautiful? And the Korhongo cloth is obviously perfect for wall-hangings too. A brilliant way to add large scale art to the wall for a fraction of the cost of a large bespoke framed print. Simply glue a wooden batten to the top back, and attach to the wall using suitable wall fixings. And there are plenty of mud cloth cushions to be found too. These ones from Nomad Design and Hide & Seek really caught my eye. Cushions are always such an easy way to freshen up a room, and of course with these, give a nod to the tribal trend too.